LCK is in the process of renovating the facility. This past Saturday, we had volunteers from PEAK paint the classrooms a beautiful and calming color. The classrooms look wonderful and you can see the results on Literacy Council of Kingsport - Facebook! We are concerned with the lingering paint fumes and chemical smell in the office and feel it is best to cancel classes this Monday, May 15. We will resume classes on Tuesday, May 16 at 9:00 a.m. We have also sent a message to the students. We apologize for any inconvenience. Megan will be in the office if you need anything. We are excited to continue to improve our facility to better serve our volunteers and students. Literacy Council of Kingsport will be CLOSED on Friday, April 14, 2017 in observance of Good Friday. If you need immediate assistance, please contact us via email. We will re-open on Monday, April 17th at 9:00 a.m.
​Happy a safe, happy Easter holiday! Together, we can build a stronger community through the power of literacy! ​The Literacy Council office will be CLOSED if Kingsport City Schools are CLOSED. We will try to contact you and your student if the office is closed. This year, you may receive a text from (423) 390-8348 -- this is our Google Voice number. Also, please refer to our Facebook page for the latest information on closings and delays. We encourage you to use your best judgement for winter-related travel. As always, please let us know if you are unable to make your tutoring session via email at lckmeganm@gmail.com or by calling the office at (423) 392-4643. KINGSPORT - Are you looking for a unique volunteer opportunity for 2017? Well, the Literacy Council of Kingsport invites you to join its team of volunteers in building a stronger community through the power of literacy by tutoring adults who need to improve their literacy skills in order to achieve their individual goals. Volunteers can tutor during the day or evening for as little as one hour a week. More than 36 million American adults struggle to read, write, do math and use technology above a third grade level. In Sullivan County, it is estimated over 15,400 adults lack adequate literacy skills. Unfortunately, these adults are often our coworkers, relatives, friends and neighbors who have masked the inability to read for years. A free training for new adult tutors will be held on Saturday, Feb. 4 at the Kingsport Public Library with a required tutor orientation and self-paced study to be completed prior to the training. The deadline to register for the training session is Friday, Jan. 20. The pre-requisite one-hour tutor orientation will be held at various times from now through Jan. 20. The Literacy Council of Kingsport is a 501(c)(3) organization that provides tutoring for adults and qualified children to improve their reading and writing skills and advocates for literacy within the Greater Kingsport community. Are you interested in registering for TRIVIA NIGHT? 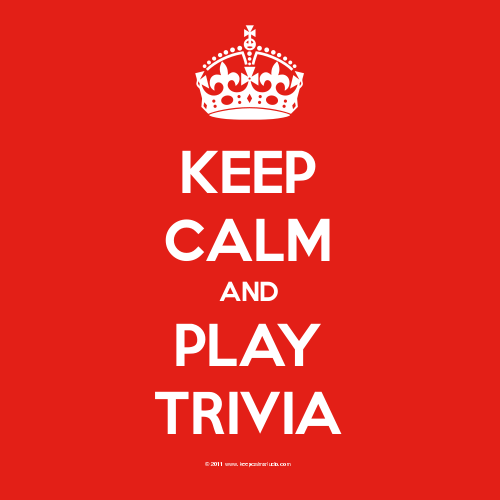 The Literacy Council is hosting a Trivia Night fundraiser on Thursday, June 23 from 7 - 9 p.m. at the Kingsport Chamber of Commerce.